Nothing gets me more excited than to think about Jesus’ return. Some 30% of the Bible is prophetic and a lot is written about Jesus coming again. But the Bible lists two returns-Jesus actually returns twice. So first we must distinguish which return we’re discussing. What we’re mostly interested in is the sudden Rapture exodus, not the Second Coming. The Rapture is dead ahead but the Second Coming is at least seven years away. So here are short explanations of three major prophecies. To be clear, I’m not date setting, just looking at scriptures about the general time, not the day or hour. Jesus gave us two specific verses in scripture that tell us what the world will be like just before Rapture. Life was fairly normal, but society wasn’t God-fearing. Then, God shut the door of the ark and it started raining–an event that had never happened before caught everyone but the Godly off guard. It had never rained prior to the flood. God’s judgment on the earth had commenced catching everyone by surprise. Noah, a preacher (2 Pet 2:5), tried to warn them, but the ungodly wouldn’t listen. God SHUT THE DOOR on the ark, the flood came, lifted UP those saved by the Lord in the ark and carried them OVER the tribulation BELOW and then theyRETURNED TO THE EARTH. That’s quite a picture model. It’s going to be life as usual prior to the Rapture. A world-wide event that has never happened will close the DOOR. God shuts the DOOR with Rapture, lifting Believers UP and OVER the Tribulation BELOW. And then we’ll RETURN TO THE EARTH. And for sure, Noah was pre-flood! He wasn’t mid- or post-flood! Jesus is pre-trib!!! So what are the “signs” we’ve found so far? A wicked populous who doesn’t listen to the warnings of God. Plus the fact the world WON’T collapse before the Tribulation. 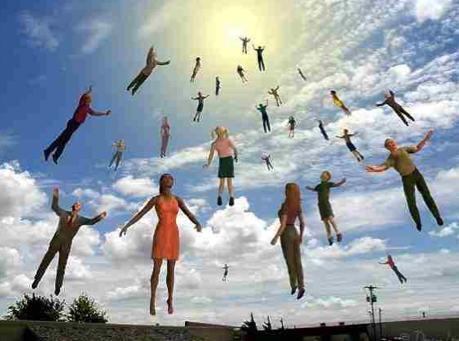 Things will be relatively NORMAL up until Rapture. That’s huge to understand. sporadic shortages of food and electricity from time to time, as we have many times in the past. But all that is just life in a sinful fallen world. All those problems will be non-existent in heaven, but still here on this earth today for us to deal with. So I’m not worried about storing up massive amounts of food, guns, and ammo to survive and/or protect my family and survive for months or years. Neither should you. Yes, it’s possible the electricity might go out for a few weeks like it did during an ice storm here once. So common sense says to always have plenty of firewood. And it’s extremely possible that there will be a new currency in the future as the current one is hanging by a thread–even though most people are unaware of that fact. But do you really think that will affect this country more than a day or two, if even that? Israel had to reset its currency in the early 80s and everyone woke up one day with a new currency. They simply traded the old for the new. Those with hard assets fared best. So don’t fear the future. God is, as always, in full control. Yes, be smart for short-term planning. But if you want be overly concerned about something, be prayerfully concerned about the Lord giving you the opportunity to share the gospel with your lost family or neighbors. 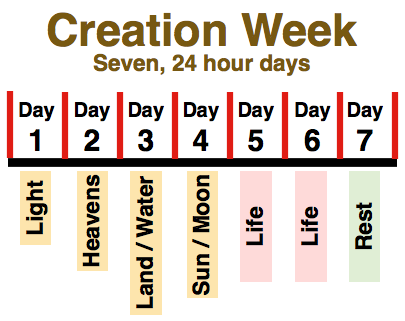 The theory goes (I wholeheartedly believe it’s a valid theory–but a theory nevertheless) that the 7 day creation week is a template for all time. So looking at the Creation Week (Again, these are seven 24 hour days! ), we see an interesting pattern. Four days before life, life came on day five and six, and God rested on day seven. The pattern is 4 days-2days-1day. 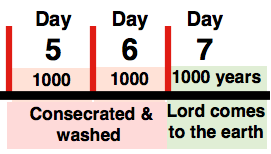 At least twice in the Bible God refers to a day as being ROUGHLY (“like”) a thousand years. Seven is God’s number for completion… so using God’s creation week of seven 24 hour days as a template, the Day/Age theory equates each 24 hour day with 1000 years, or 7000 total years for all mankind’s days. Using Ussher’s timeline, we know that it was about 4004 years from Adam to Jesus–just like the Day/Age theory suggests. And we know from scripture that there is Jesus’ 1000 year reign on earth- just like the Day/Age theory suggests. That leaves two thousand years left between for the Church Age. And, that would also mean that after 4000 years of no life, Jesus came and brought life on Day 5–five being the number of grace. This unfulfilled prophecy in Hosea makes no sense unless you apply the Day/Age theory. But if you do apply it, it makes perfect sense. Israel will be scattered for about two days (2000 years), wounded and torn. Then the Lord will revive them after the two days. And on the third day, or the millennial reign of Jesus on the earth, they will live in His sight. That’s exactly what happened. Israel was scattered, torn and wounded for about 2000 years and then God began to bring them back. Soon, in the millennium, they’ll live in His sight for 1000 years! Wow! Again, this makes no sense unless you apply the Day/Age theory. Was Jesus saying He would do miracles for two days… or was He inferring 2000 years? And how is it that He reaches His goal on the third day unless it’s the Jews living in His sight? nutshell, it’s the only scripture recording Jesus staying with non-Jewish Believers. And guess how long He stayed? Two days! And then “After the two days” He went back to the Jews!! Amazing! Peter said he was living in the last days. That would be strange, unless you apply the Day/Age theory. 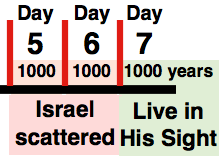 Then it makes sense–Peter WAS living in the last days, the last three days of seven! You’ll find more of these examples in scripture like the six water pots in John 2 and Lazarus being dead four days in John 11. Fascinating to read and think about through the lens of the Day/Age theory. So, I think this clearly establishes that theChurch Age is approximately 2000 years long, beginning in Acts 2 and extending to Revelation 6. But there are two things to consider. The Bible didn’t say “exactly” 2000 years. Rather, it says “roughly” 2000 years. So we don’t know the day or the hour. But we can know the generation! But if Rapture IS near, God revealed it in scripture beforehand. I’m all smiles!! Also, if you count 2000 years from Acts 2, you’re in the neighborhood of the year 2033, plus or minus 20 years or so. And so we’re definitely living in times of prophetic fulfillment!! He said this in 33 AD. In 70 AD the Roman army under Titus defeated Israel and except for a brief period 132 to134 AD, the Jews were scattered worldwide, never heard from again until the 20th Century. So what Jesus said would happen to “this generation” happened in 37 years–within a generation. So Jesus spends the next 30 verses in Matthew 24, discussing the problems for Israel coming at the end of the Church Age. Then He explains the Parable of the Fig Tree. 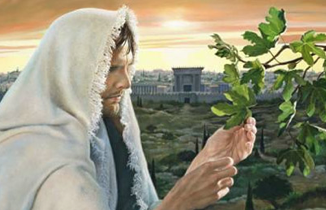 The fig tree has always been synonymous with Israel and in Matt 24:32-34, Jesus talks about being able to know that by the signs of the leaves sprouting on a fig tree, you know that summer is near. Israel became a nation in 1948, but they didn’t actually get control of the Old City of Jerusalem and Mount Moriah until 1967. So most Bible prophecy scholars believe the generation starting point should begin in 1967. Most of the time, the Bible refers to a generation as being between 40 and 70 years in duration. So, based on this theory, we’re living in this prophetic window of time that began in 2007 and ends in 2037. So not only does the Day/Age theory point toward 2033, also the generation window points toward roughly the same time–2037. But what if we’re wrong about using 1967? What if the generation should actually be counted from when Israel, the nation, was born? 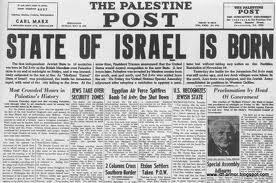 There’s even a prophecy that predicts Israel would be “born in one day.” And that day would be May 14, 1948, when the United Nations declared Israel to be a nation again after almost 2000 years of dispersion. So if 1948 is actually when we should begin counting our generation, then we’re toward the end of that window! That’s an exciting graphic, don’t you think?! But, again, I am NOT saying the Rapture WILL happen by 2018. Just saying it could. Shoot, it could happen as you read this. Or it could happen in 2033 or later. Only God knows when. The Bible has quite a few prophecies about Israel in the latter days, most of which have already come about. Here are the main ones. 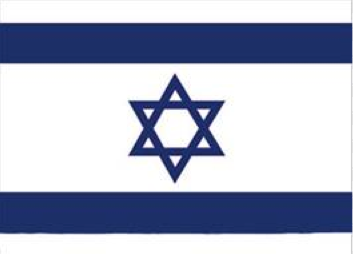 Israel will be back in their homeland. Israel will take over the land in one day. Israel will have an exceedingly strong army. Israel will have nuclear weapons. Israel will cause the world consternation. Nations will try to divide Israel’s land. Israel going back to live animal sacrifices. Russia, Iran and others attacking Israel. Israel wiping out her enemies around her. 2/3s of Israel being wiped out in one day. Israel fleeing to the wilderness–3 1/2 years. Of course we’re leaving out the long list of general prophecies such as the coming world currency, coming world government, mark of the beast, rise of a new world leader, etc. But God gave us Bible prophecy to prove the Bible’s accuracy… including all the above scriptures foretelling signs that will occur prior to Jesus’ return. And it’s a great comfort for all Believers to know that we’ll depart with the Holy Spirit at the Rapture prior to God’s worldwide judgment–the awful Tribulation.